I grew up in Hanau and moved to the states in 2000. Grossauheim was the place to be! Not only was the Rod N gun Club only minutes from my house but also the one and only Hanau Mud Races. Oh how I miss the mud pit on a Sunday morning. I visit my family (mom German/ dad American) about ever 2 years and seeing the changes over the years can bring you to tears. Driving down Wolfgang and seen all the emptiness now there seems still unreal. All those abandoned military bases, ugh. Hanau will always be in my heart, nothing has meet up to its beauty. Walking down the Main river for miles, taking in all the riverbanks and churches along. And thinking about the food... oh what I wouldn't I give for a good curry wurst or just a nice tasty Doener... yummm. 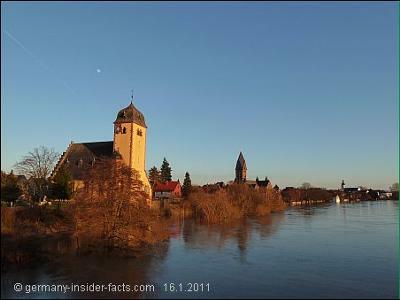 Hanau is so full of history and fairy tales, it is a great place to be and visit. I will be moving back in the next 2 years, so my daughter can be raised with all the magic Hanau has to offer. I couldn't agree more, the scenery along the Main in Grossauheim is just lovely. I also grew up in Grossauheim, went to the St. Josef school. 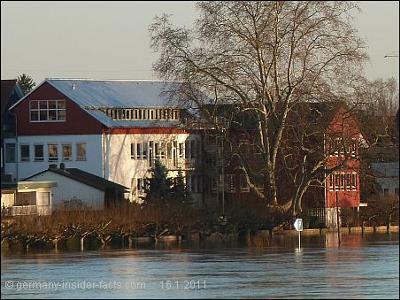 The Main was in flood earlier this year when I took the above photos. I remember we had one week off from school, 1970 I think, when the river flooded the school. It was not that bad this year. Yes, a lot of changes are going on in Hanau, not only on the abandoned military bases. The blocks of the New Argonner housing area get a renovation right now. But the Pioneer kaserne looks a bit like a ghost town.